This time, after quite a while, I have another Daiwa spinning reel for review. 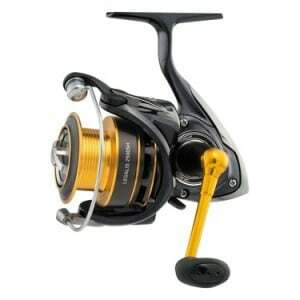 It is Daiwa Legalis LGL. Not the usual Legalis which was launched 4 years ago, but upgraded and modified version of that. I think it is a great idea to renew old reel models and make the necessary changes to keep them up-to-date with nowadays innovations and technological breakthroughs. Every size has 4+1 bearings. It may seem low, but for inshore and freshwater angling type of reel this bearing count is common. Gear ratio stays pretty much same for each one: from 6.0:1 to 5,7:1. Weighing in from 8.1 ( 1500 and 2000) to 13.6 ( 3500 and 4000). Each model is about 1 oz lighter than Battle II. Of course Battle is known for its little heavier than usual construction. Still it is a plus for Daiwa Legalis LGL. Max drag starting from 4.4 to 13.2. Max drag seems to fall between industry standards for 2500 and up models, but other similar spinning reels have almost twice or thrice! more drag power in their 1500 and 2500 models( Legalis has 4.4). 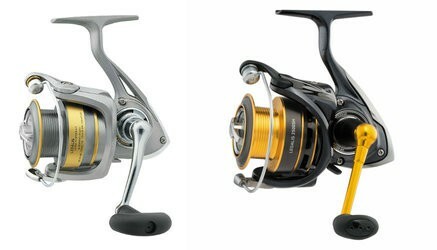 We have to remember that Legalis price is almost 2-3 times lower that those competitors ones too, like Shimano FJ. Diawa Legalis special frame design which aims to keep the spinning reel`s compact, narrow to make the reel as light as possible when at the same time keeping internal parts under optimal alignment. Maybe the biggest and most valuable improvement from previous Daiwa spinning reels, Legalis is implying the air rotor instead of usual rotor design. It has unique shape which weighs about 15% less than the average rotor and distributes the stress more evenly for more smoother operation. 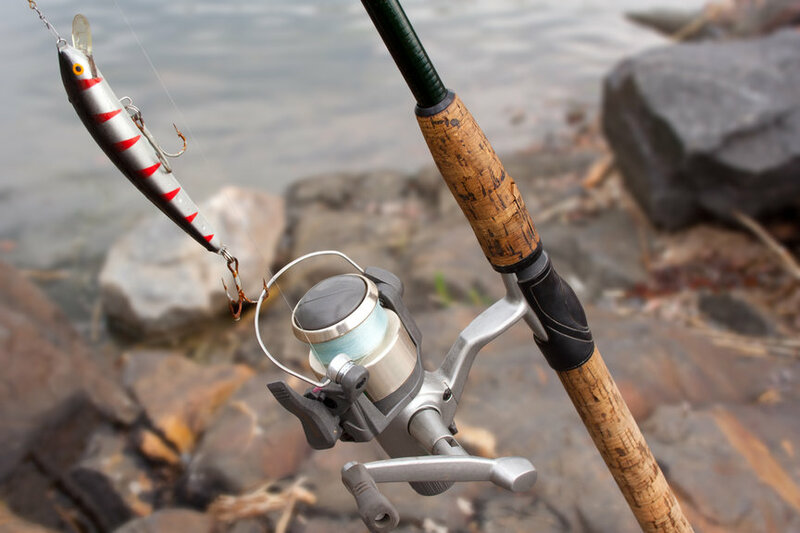 We all know the importance of ABS in car breaking system, but what can it do in spinning reels? It maximizes spool core diameter and reversed taper, which means 100% usable line that can be filled right to the edge of spool lip without having to fear tangles. Bigger spool diameter let`s line flow more freely in larger coils too. After all, wide spool was third in most important factors in spinning reel, according to our 42 pro anglers. Diana did not change much in the new LGL. Base features like Digigear and ABS spool remain same, only two bigger updates have been more modern frame design and air rotor system. It is clear that Legalis was made as bargain reel and it keeps the same line. Unfortunately the market for cheaper spinning reels, in price range of 30-70 bucks is just so saturated that I am afraid even the Legalis LGL will get buried under competitors. It doesn`t have some trademark feature like Okuma Baitfeeder has, which is steadily the #1 in the best sellers list. It seems solid in hands, clear sign that it is made by company who focuses on saltwater reels. From performance aspect I value mostly the wider spool and air rotor system. If I will ever need to purchase a spinning reel around $50 bucks and I wouldn`t want to browse through tens of Shimano, Okuma and hundreds of cheap reels from China then Daiwa Legalis would be my go-to, reliable choice. LGL has only handful of new features, but price is identical to original so favoring new version is no-brainer. 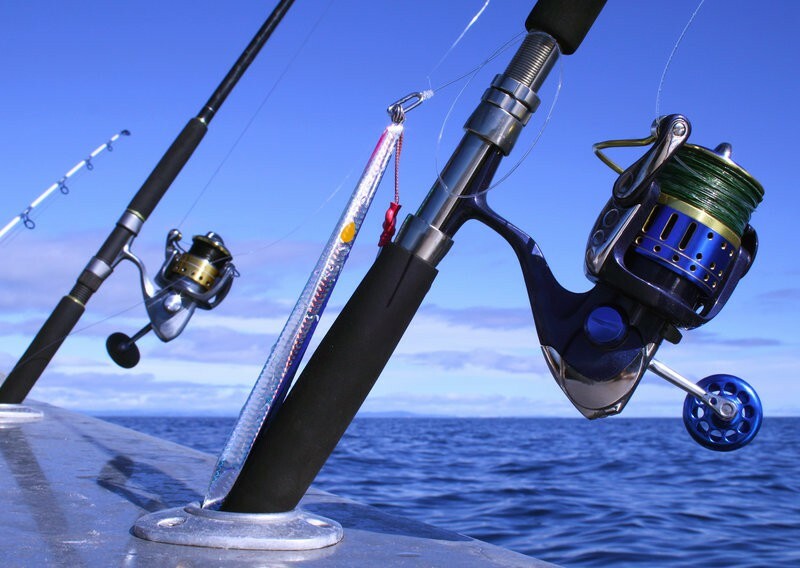 Reel covers all the basic needs for angler, like longevity, lightness and enjoyable casting. However, it would be shame to expect anything more than basic functions for this price.